Page 10 – Welcome to the Official Contra Vision® Blog. Read inspirational case studies and find out the latest news. The balloon that didn’t go up! 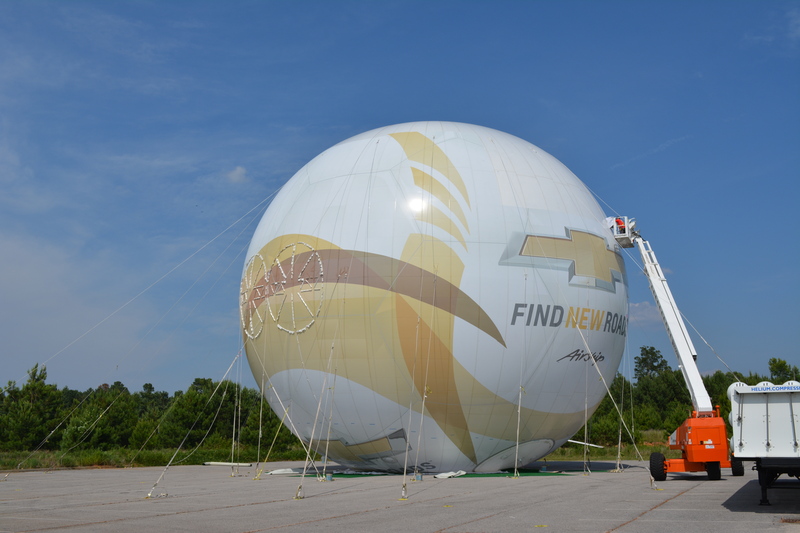 There was great excitement at Contra Vision when we heard our material, Contra Vision® BACKLITE™ translucent perforated material had been used to wrap a large balloon which would be flying over the FIFA World Cup Final in Rio last week. This meant most of the t.v. watching world would see our material in use and it would provide real ballast (!) to our promotional activity. However even though the material was successfully applied in America, engine certification issues meant that the balloon didn’t go up! We look forward to seeing this flying soon over another global sporting event, suitably wrapped with Contra Vision® materials. To whet your appetites, here’s a photo of what it looked like on the ground! Author Contra VisionPosted on July 21, 2014 Categories NewsLeave a comment on The balloon that didn’t go up! We’ve been up to London to visit the Queen! Last week, Roland Hill, Chairman and Managing Director and Dee Barrington-Ford, Director were both invited to a special reception at Buckingham Palace for winners of the Queen’s Award for Enterprise. 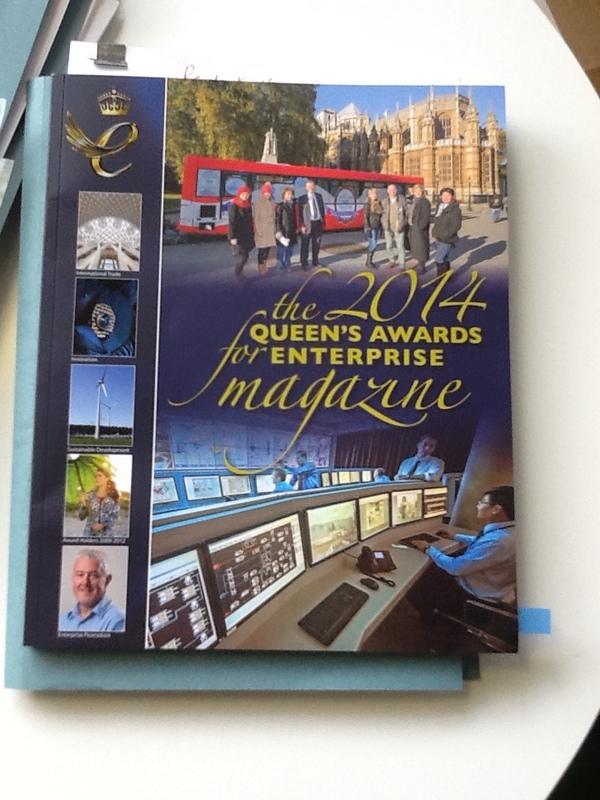 This was an opportunity to meet the Queen and mingle with other recipients of the awards. So, suitably suited and booted Dee and Roland headed to London for this rather fabulous event. Dee Barrington- Ford commented, ‘It’s not every day one gets to meet the Queen, she was charming and the whole event was fantastic.’ Roland and Dee have worked together at Contra Vision for 30 years and this event marks a huge success for Contra Vision and is a great accolade. 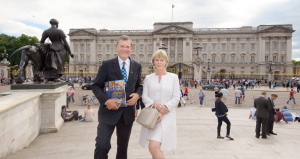 The photo shows Dee and Roland outside the palace, the more eagle eyed will spot that Roland is holding a copy of the Queen’s Award Magazine which features Contra Vision on the front cover! Author Contra VisionPosted on July 19, 2014 July 19, 2014 Categories UncategorisedLeave a comment on We’ve been up to London to visit the Queen! Contra Vision scores a media hit! We were thrilled to win the Queen’s Award for Enterprise for International Trade and then be featured in the Queen’s Award Magazine, which goes out to all winners, contacts, government and trade bodies. An additional coup for us was being chosen to appear, in full colour, on the front of the magazine, which was also handed out at Buckingham Palace this week when a special event was held for winners to meet the Queen. 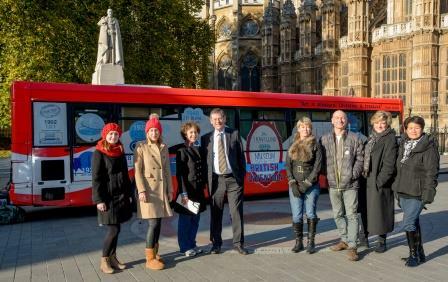 The magazine shows a wonderful shot of some of the Contra Vision team by the Travelling Museum of British Invention bus, when it was on location outside the Houses of Parliament in London late last year. A double whammy for us, we won the Award and were featured on the magazine cover. A proud day for Contra Vision and a worthy accolade for 30 years of continuing innovation and hard work! Author Contra VisionPosted on July 18, 2014 Categories NewsLeave a comment on Contra Vision scores a media hit! Contra Vision® Launch 4th International Wrap Artists™ Competition. Contra Vision is sponsoring an international competition to find the best see-through window graphics, advertisement, sign or other designs placed on the windows of any building, vehicle, POP, entrance doors or partitions. All winners will receive a glass sculpture by an internationally recognised artist, the overall winner also receiving a cash prize. All projects submitted must use Contra Vision® Perforated Window Film, Contra Vision® Impress™ (formally known as Contra Vision® ORS™) or Contra Vision® XR™ technologies. The Contra Vision® Wrap Artists™ competition is designed to generate interest by showcasing the best see-through graphics worldwide. 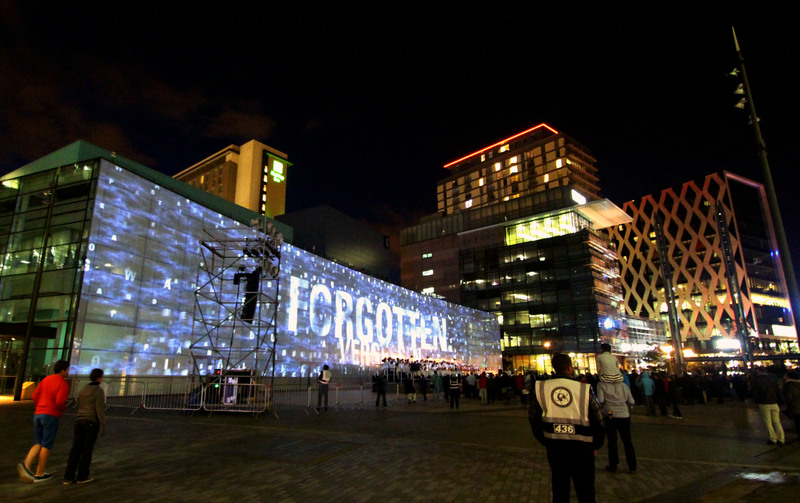 It will be judged by leading figures from the world of print journalism, advertising and design, Val Hirst, Managing Editor of Sign Directions, Lisa Tomlinson, Joint Planning Director, McCann, and Sabrina Cant, internationally renowned glass sculptor. The deadline for the receipt of entries is Friday 19 September 2014 and projects may have been executed at any time up to that date from 1 January 2012. The public announcement of award winners will be made on Wednesday 22 October at the SGIA 2014 Expo, Las Vegas. The award winners will be informed 7 days before that date. The winning entries will also benefit from considerable press exposure in trade press and be featured on the Contra Vision website. Author Contra VisionPosted on June 19, 2014 June 19, 2014 Categories UncategorisedLeave a comment on Contra Vision® Launch 4th International Wrap Artists™ Competition. Contra Vision Ltd, the Stockport-based company whose Chairman, Roland Hill, developed see-through graphics in the UK and internationally, has been awarded the prestigious Queen’s Award for Enterprise for International Trade. Winners are announced today, the Queen’s birthday and Contra Vision joins a select group of businesses who can claim this accolade, the most prestigious business award in the UK. It wins the Queen’s Award for International Trade having grown overseas sales earnings 1084% over the last six years and increased exports as a percentage of total turnover from 35% to 80%, with a network of 18 distributors located across the world from Europe to Australia. Contra Vision Ltd was formed in 1985 when Roland Hill, Chairman and Managing Director, began patenting and licensing the technology, now known worldwide as Contra Vision® see-through graphics. Today, the company now has 27 inventions patented or patent-pending and has brought products to market worldwide and undertakes significant market research to exploit new opportunities, developing new products to ensure that international sales continue to grow. 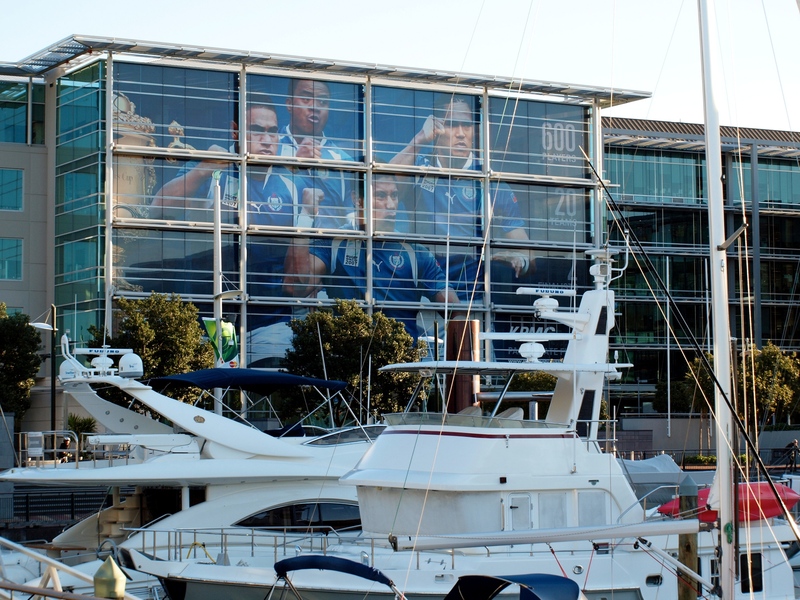 Contra Vision offers by far the widest choice of see-through graphics which provide advertising, branding, signs or decor that can be viewed from one side of a glazing panel, but seen through from the other side. Contra Vision® is used worldwide for advertising, architectural privacy, décor and signs, security, energy efficiency, digital projection and much more. 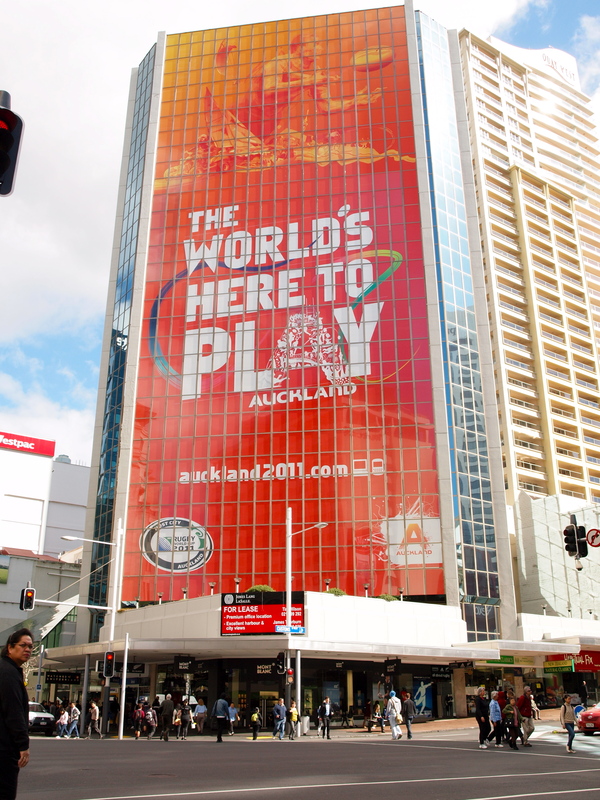 Contra Vision® products are selected by global companies, such as Coca-Cola, McDonalds, Apple, Nike and Emirates to promote their brands and has also been used to publicise major international events, for example The Rugby World Cup and the Olympics. Contra Vision® can be seen throughout the world covering the glazing of entire buildings, buses, retail windows, stadia, taxi backs and even wrapping ferries in Rotterdam! From a standing start of two people, the company now employs 11 staff and a range of consultants with offices in the UK and USA with a network of distributors supplying customers across Europe, South Africa, Australia, New Zealand and North and South America. Contra Vision is poised for increased growth, employing a range of staff with several European languages and continually investigating ways to expand our market and improve our offer to customers. Sporting success on the high street. Contra Vision® is often seen on sports venues and stadia, including some well known football clubs, but you don’t have to be in the Premier League to use see-through graphics. 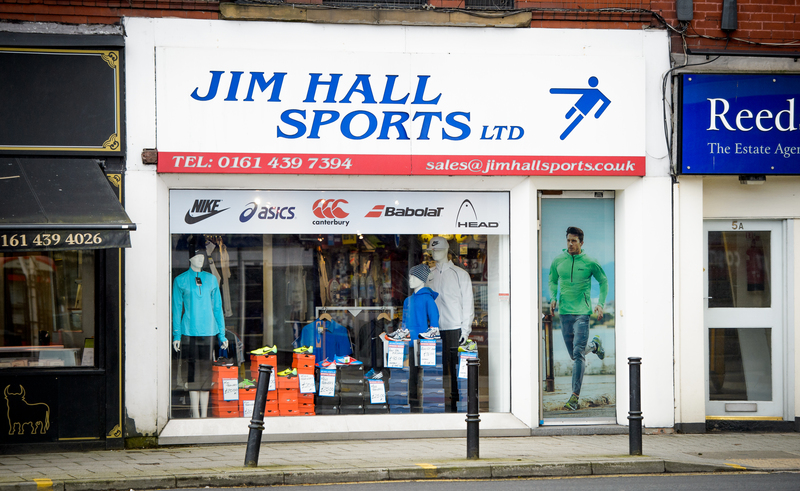 Local sporting goods retailer, Jim Hall Sports, was looking for a way to promote the brands they sell and also add visual impact to their site on the high street. Key considerations were to maintain the conventional view into the store, with mannequins wearing sports clothing and provide a brand banner which could be illuminated at night, without detracting from the view into the store. 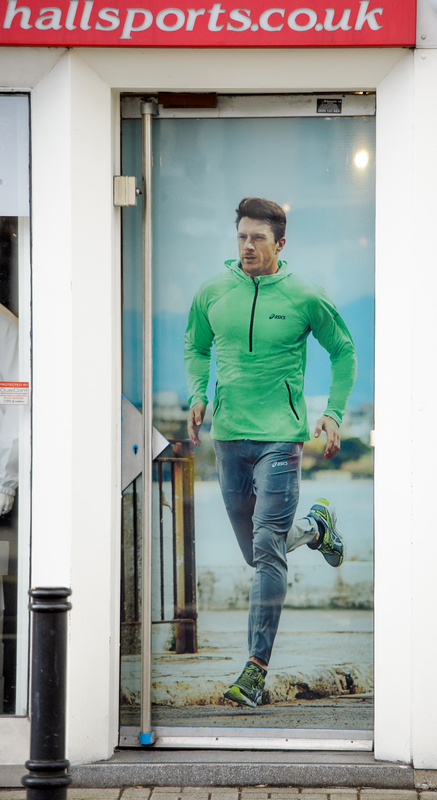 For additional visual impact the entrance door was also used to hold a striking sporting image which features a runner, wearing clothing available in the shop. Our solution was an Applied Inside™ Contra Vision® Impress® non–perforated one-way vision graphic applied to the entrance door and a Contra Vision® Brandvisor™ which was applied inside across the top of the window, to avoid any loss of view into the shop. Both applications are designed to be visible 24 hours a day, where conventional see through graphics would be overpowered by spotlights illuminating the display. This simple use of see-through graphics has transformed the impact of the shop front has on the high street, providing a facelift and creating significant customer interest. Author Contra VisionPosted on March 20, 2014 March 20, 2014 Categories UncategorisedLeave a comment on Sporting success on the high street.